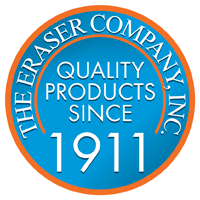 Eraser cleaning and burnishing brushes are made from coarse and fine grade fiberglass, brass, nylon and stainless steel. The tools are suitable for a wide variety of cleaning, burnishing and polishing applications including electrical contact cleaning, mold cleaning, rust removal, deburring small metal parts, erasing printing marks, cleaning contact pads and fingers of printed circuit boards, and much more. 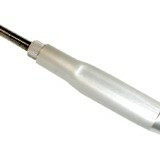 Metal body coarse FybRglass® eraser.